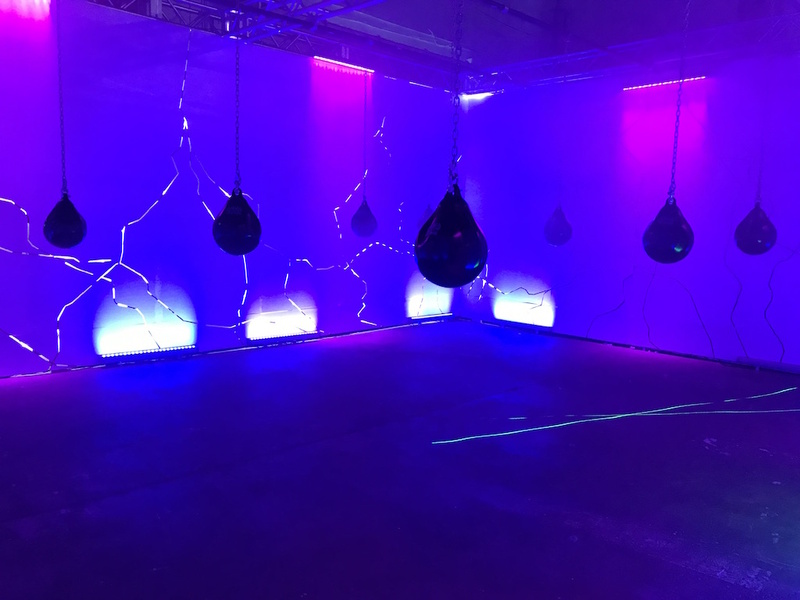 The interactive experience has now opened in a building on North 9th Street that looks like any other Williamsburg warehouse, except for one thing: It’s bright, lime green. Inside, on the other hand, it’s completely dark, save for a few glow-in-the-dark pieces of equipment: tennis racquets, footballs and lockers. 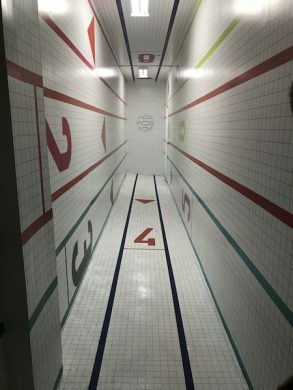 During our recent visit, Pinedo walked around the space in a shirt that perfectly matched the lime-green paint of the overwhelmingly large basketball court that greets guests as they walk in past the locker room. She described how each area can be turned into an activation. 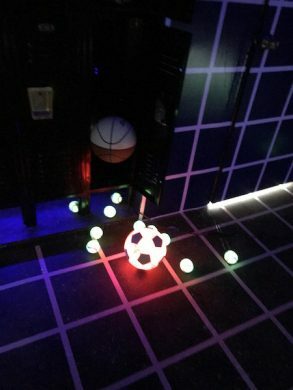 For a $35 entry fee, guests can box and play football, tennis, and soccer in the space, laid out as one big recreational area divided by activity. The idea for the interactive experience came from Pinedo’s childhood as an athlete in a family of athletes, and her desire to bring a cultural experience to her native Washington, D.C. “My dad played in the World Cup–they were the only Bolivian national team to make it to the World Cup, so that was a pretty big deal,” Pinedo said of her father, Mario, who was a member of the 1994 team. “I grew up in stadiums watching him play. I always wanted to be like him, and so I became a soccer player myself.” She trained morning and night, before school and after school, until she injured her meniscus and ACL, ending her career. Pinedo didn’t want to be confined to the small parties and fitness events in Washington, though, and didn’t want to let her injury get in the way of her dreams. “I was always interested in fashion, music and culture as well, so I decided to combine them,” she says. 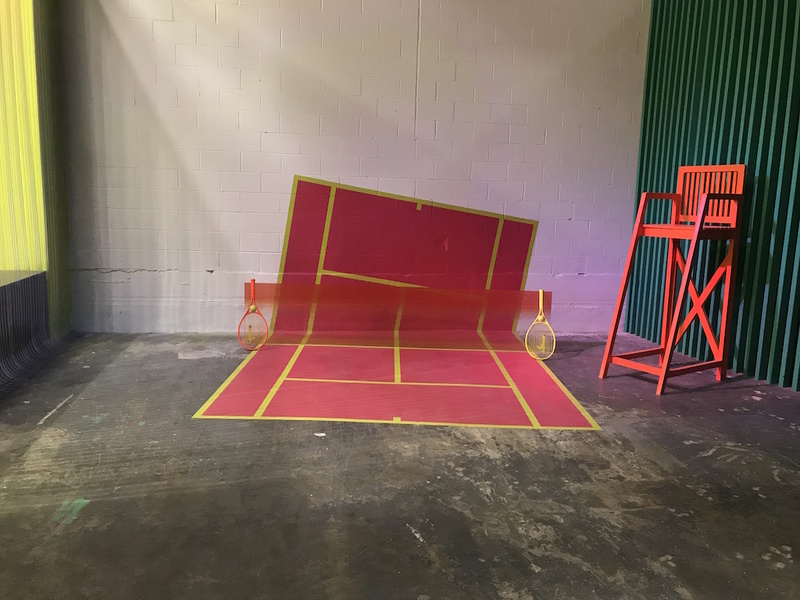 The art element comes through in the decorations: there are pulsating lights in the boxing gym, the basketball court’s tiles are laid out like an optical illusion, and the one-person tennis courts are laid out in bright colors and off-kilter shapes. The installation is entirely self-funded, and Pinedo collected donations from friends and family as well as pumping her life’s savings into the project. Her father, who now owns a construction company, helped her build out the space alongside a few other volunteers. 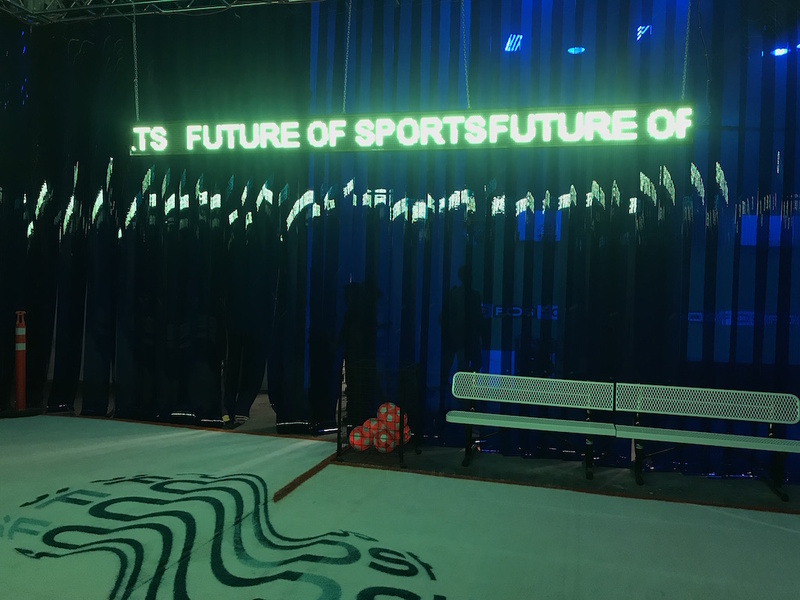 Over the weekend, Pinedo says, Future of Sports celebrated its opening by hosting a launch party with over 250 attendees, including social media personality Shiggy (best known as the guy who invented the In My Feelings Challenge) and musician Mack Wilds. 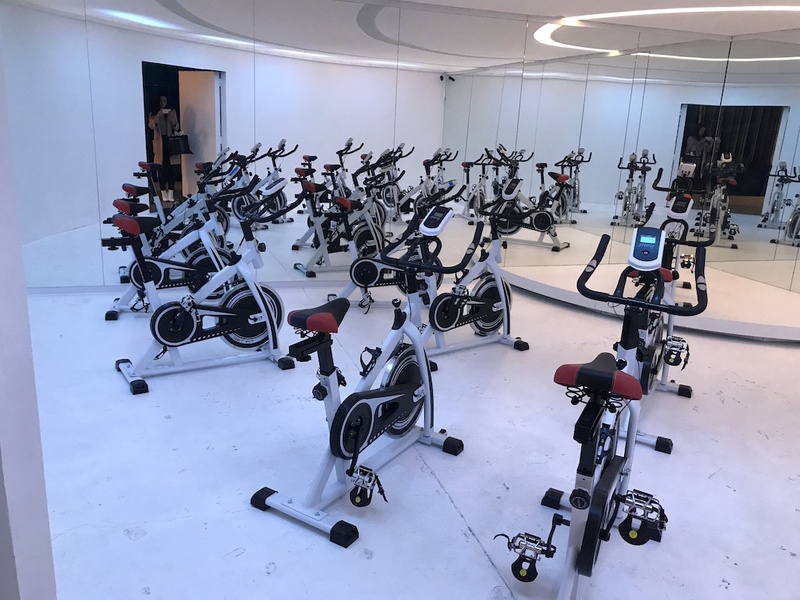 They’ve partnered with yoga studio y7, Gloveworx and Spiked Spin to host ticketed classes in the space, with more slated for the future. The lime green space will be open at 61 N 9th St in Williamsburg until January 6.